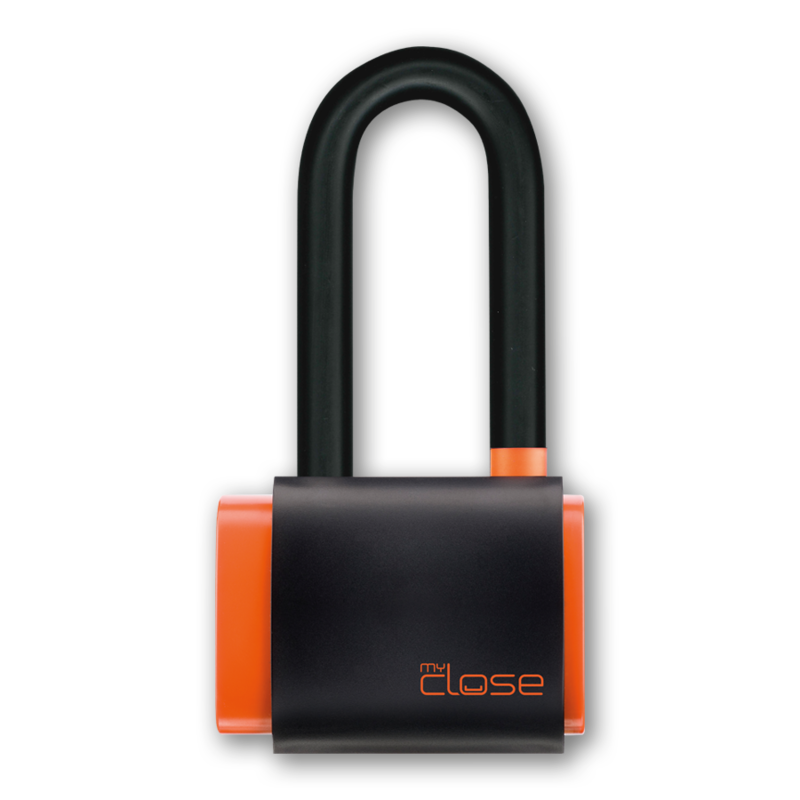 MyClose Mini U lock is equipped with 200 mm long case hardened pvc coated shackle and black sledge transport cover. No tracker is included in the package. Mini U lock 200 mm long shackle, keys, battery replacement tool.